Saudi HootSuite Certified | Squircle IT Ltd.
HootSuite is the leading social media platform for agencies to collaborative social media campaigns across various social networks from a single dashboard. Additionally, HootSuite provides industry-leading training, endorsement and best practices through their HootSuite University. 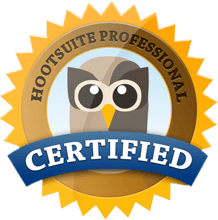 "HootSuite Certified" is the leading certification for social media advertising. To assures fundamental knowledge of Social Media Ecosystem, Social Business - Internal vs. External, Social Collaboration, Models, Social-Organizational Stages, Social Media Monitoring - Industry / Competitive Landscape, Strategic Planning Process, Strategy / Tactics: Integration and Implementation, Social Media Listening and Response, Social Influence - Targeting / Segmentation, Big Data / Data Analytics / Measuring ROI, Content Strategy - SEO, Integration of Owned, Earned, Paid, Inbound Marketing, Native Advertising, Mobile, Local, Social, Content Engagement Strategy, Real-time, Responsive Marketing, Data Security / Privacy, Social Business and Communication Plan Synopsis. In HootSuite University we spent hours and hours in social media courses to get deep inside knowledge of all the particulars of social media and social media advertising. Also to recognize Industry and assures that our work is accredited and is fully knowledgeably about social media. By being part of HootSuite University allows us to access to cutting-edge publications and videos assuring we're always on the cutting edge of social media. 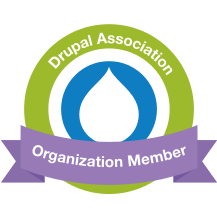 We are proud to get this certification as web marketing agency in Riyadh. We are Saudi makers, thinkers, and leaders solely dedicated to solving your problems using open-source technology and user-centered design.